I’ll use any excuse to re-run this pic. 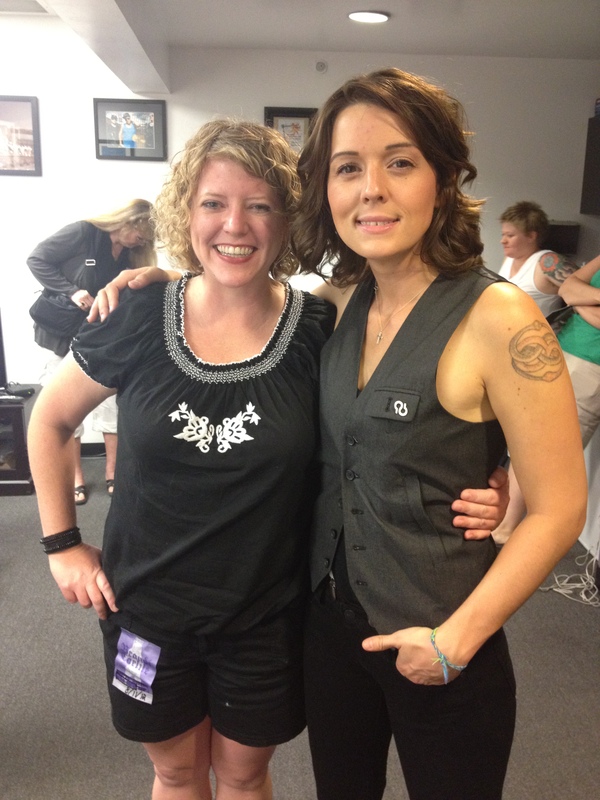 It’s been 10 years since I first heard one of my favorite artists, Brandi Carlile, sing “The Story.” It’s still one of my favorite albums of all time, and it still gives me the chills when I hear a song from it pop up on my iPod’s shuffle. Yes, I still have an iPod. But anyway, the good news is that Brandi (we’re on a first-name basis since I’ve interviewed her twice and met her two other times) is releasing a tribute album of The Story in which her favorite musicians and bands have recorded covers of the 14 songs. I’ll let Rolling Stone explain it better than I can, but basically it’s cool musicians singing Brandi’s songs! Dolly Parton, Adele, Pearl Jam, Jim James, the Indigo Girls … shall I continue? The full list can be found at the above link, and let’s just say I’ll be waiting in fangirl anticipation for it to drop on May 5. It also benefits the War Child UK charity, which makes it even that more special. This might be bigger than my Derby.